In many software-as-a-service (SaaS) companies, applications are multi-tenant. This means you’ll have multiple clients sharing the same code base. However, clients will often want their own Google Analytics profiles or even their own accounts. 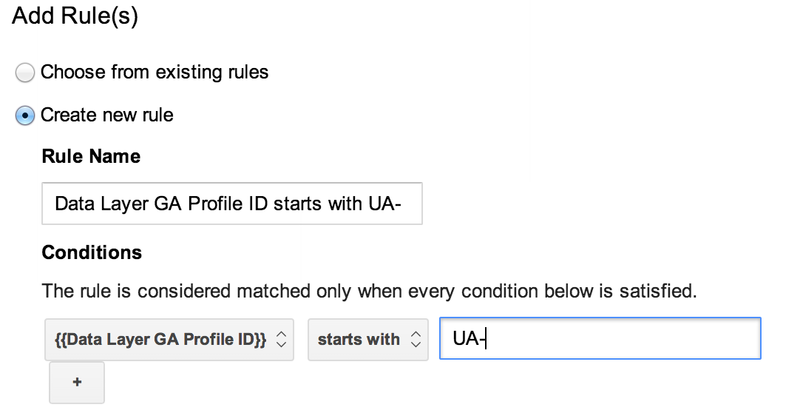 To meet this need while also keeping things manageable in Google Tag Manager (GTM), you’ll want to store your clients’ Google Analytics (GA) Profile IDs in your database alongside their configurations. 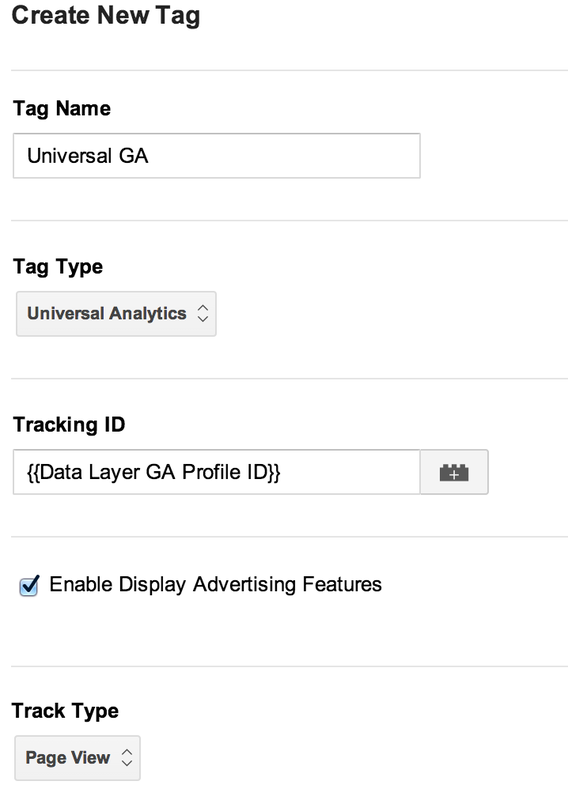 Then, once an instance of a client’s site is loaded, you can pass the client’s GA Profile ID into the GTM data layer. Now you can scale your Google Analytics using Google Tag Manager! 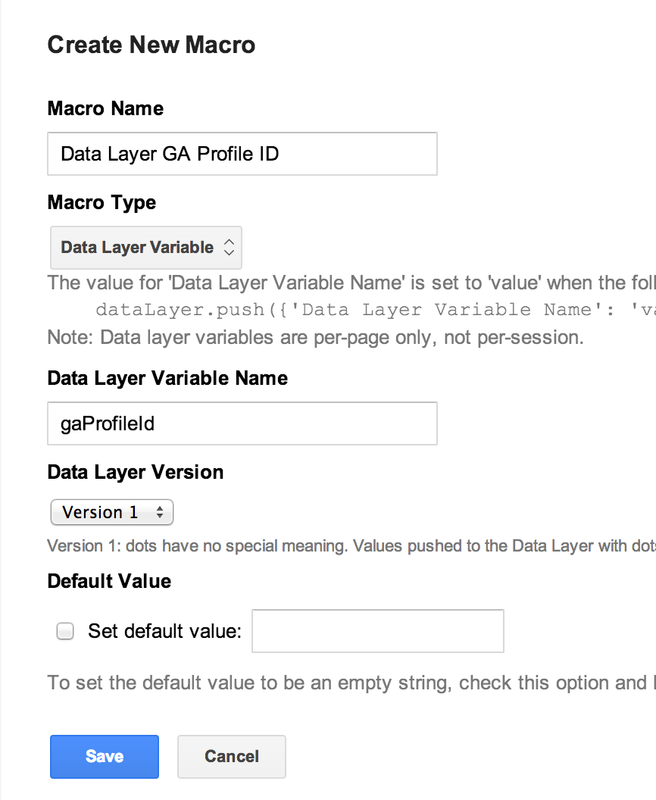 When the gaProfileID in our data layer is populated with a value starting with ‘UA-‘, then our rule will be true and our Universal GA tag will fire. This same logic applies to adding additional dynamic values that may be client-specific but useful in the client’s GA profile. If you have an aggregate profile that collects data across all clients, you can pass a unique client ID value as a custom dimension which will enable you to filter by client in your aggregate profile. Questions or comments? Get in touch with me on Google+ or leave a comment below. Hi Dan, I’m Alex from palbin.com (I’m following you on twitter from today). There are not many problems for the multitenant GA implementation, but we had a “double” google analytics account code to allow us get stats from own clients domains too (not subdomains of palbin.com). Do you know the best way to do it throught Google Tag Manager? Many thanks! Next post: Help! I just enabled the User ID feature through Google Tag Manager and my pageviews dropped?